Molded PE Pedal Board and Carry Case with Handle and Wheels. 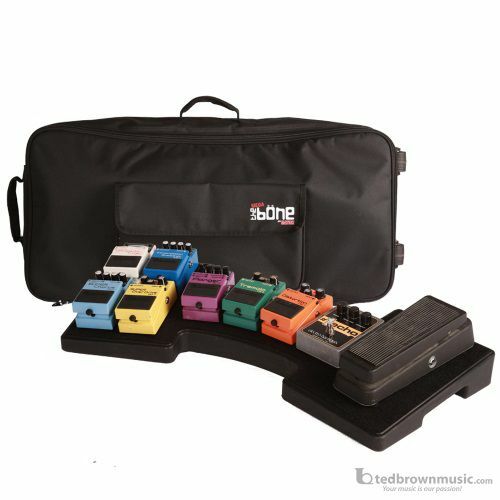 Rigid polyethylene pedal board which can accommodate up to 10 stomp boxes with ergo friendly arched shape with two larger surfaces for wah and volume pedals. Hook and loop angled surface for pedal mounting and 9V daisy chain power supply. Heavy duty padded lightweight carry case with wheels and tow handle.